More than 27 million gallons of paint have been collected via PaintCare’s location types since 2009. At one time, wasted paint was about 50 percent of the volume and cost of household hazardous waste (HHW) programs in California. Those figures started to improve after the state passed legislation requiring the paint industry to fund and operate a collection system for unwanted paints. Key to continued progress has been a program run by nonprofit PaintCare, created by paint manufacturers, to address these end-of-life materials. 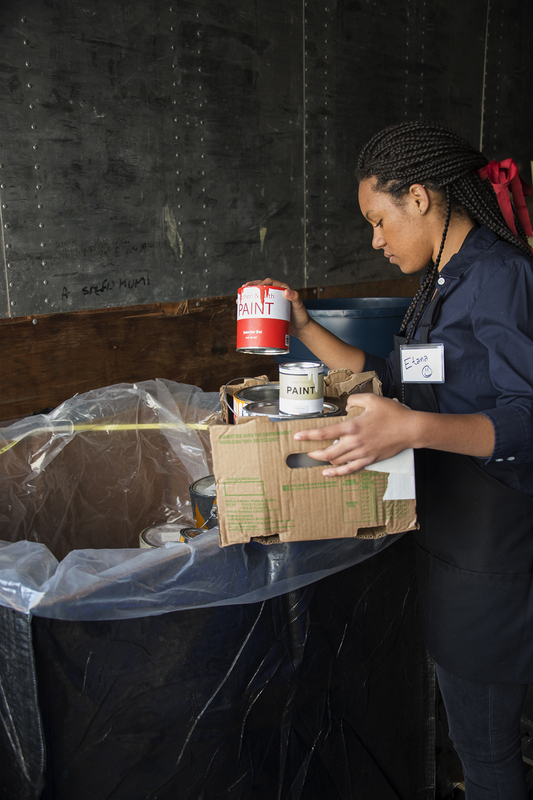 PaintCare offers 1,775 year-round drop-off sites at hazardous waste facilities and retail sites in eight states and Washington, D.C. More than 27 million gallons of paint have been collected across location types since the program began in 2009. With retail drop-off sites, as with HHWs, PaintCare provides collection bins, hauling service and education materials about the program. It also trains store staff. In California, where California Product Stewardship Council (CPSC) helped get the program off the ground, there were some difficulties. But since CPSC got through the contracting and implementation period, working with PaintCare and local governments that own and/or operate hazardous waste facilities, the program has done well, says Heidi Sanborn, executive director of the California Product Stewardship Council. “Jurisdictions are saving millions of dollars a year in collection and in education to administer the program. Santa Clara County [one the largest counties] alone saves over $300,000 a year,” says Sanborn. Before Azusa, Calif.-based Acrylatex Coatings and Recycling tapped into the PaintCare program, it had to contract with multiple cities and counties to gather their recyclable paints to maintain an adequate, steady volume. “Now, we only have to contract with the main PaintCare transporters who contract directly with PaintCare. The logistics of getting paint to our facility has been vastly improved,” says Brian Brittain, president of Acrylatex Coatings and Recycling. Drop-off sites accept house paint and primers, stains, sealers and clear coatings. Paint must be in its original containers that are no larger than 5 gallons and must have secured lids. Some is used in its original form, such as for Habitat for Humanity projects, and some is recycled and sold as recycled paint. It’s even been used to make landfill covers. The retail locations have gone over well due to their convenience factor, as retail locations are often centrally located businesses within the community and are open every day during normal hours, says Zarrehparvar. Residential and commercial door-to-door pickups are available for collection of 200 gallons or more of architectural coating products. The cost of running the entire program is covered by the PaintCare fee that’s applied to the purchase price of the paint, which ranges from 35 cents to $1.99, depending on container size and state. Chittenden Solid Waste District in Williston, Vt., has collected paint since 1991—long before PaintCare’s inception. 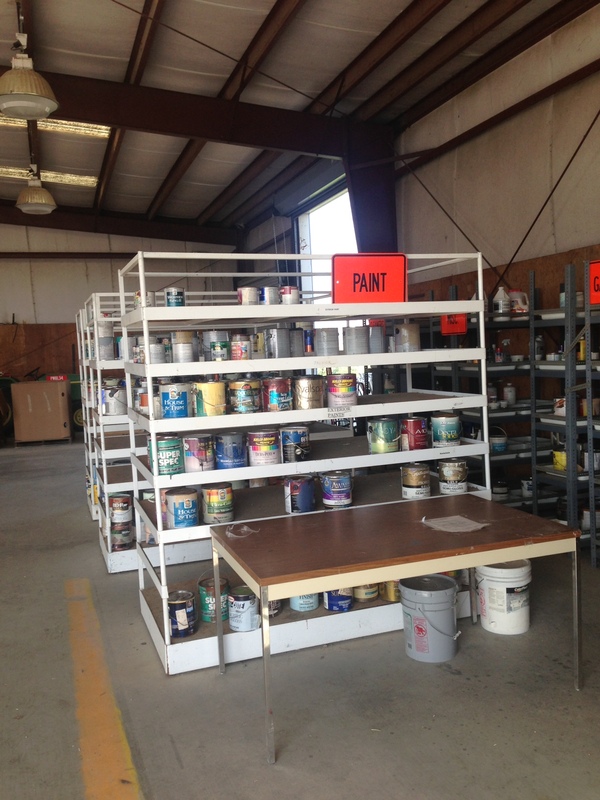 The district recycles latex paint into its brand paint and also processes it for a Canadian paint recycler. Oil-based products go for incineration or fuel blending. What’s changed since the PaintCare program became available is better economics and more collection opportunity, says Jen Holliday, compliance program and product stewardship manager for the Chittenden Solid Waste District. There’s more work to be done to recover and make use of otherwise wasted paint.